Air, Compress air, Water, Sea water, Hot water, Oil, Acid, Alkali, etc. 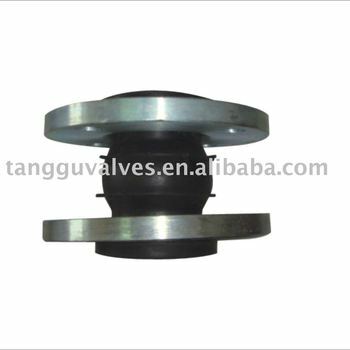 The product could primarily reduce the quiver and noise of the piping system, completely solve the different piping problems as displacement of joint, axial flex and etc. According to different material requirement, product could be made as acid proof, alkali proof, corrosion proof to suit different medium and environment. The material are good sealing, light weighting, easy to fix and maintain, also has long usage life, But please keep far away from sharp metal in order to avoid breaking of the ball. Overhead use should match with the resilience supporting, and diagonally method should be used when fit the bonnet. Please use limiting bonnet to connect the flanges if piping pressure is high.